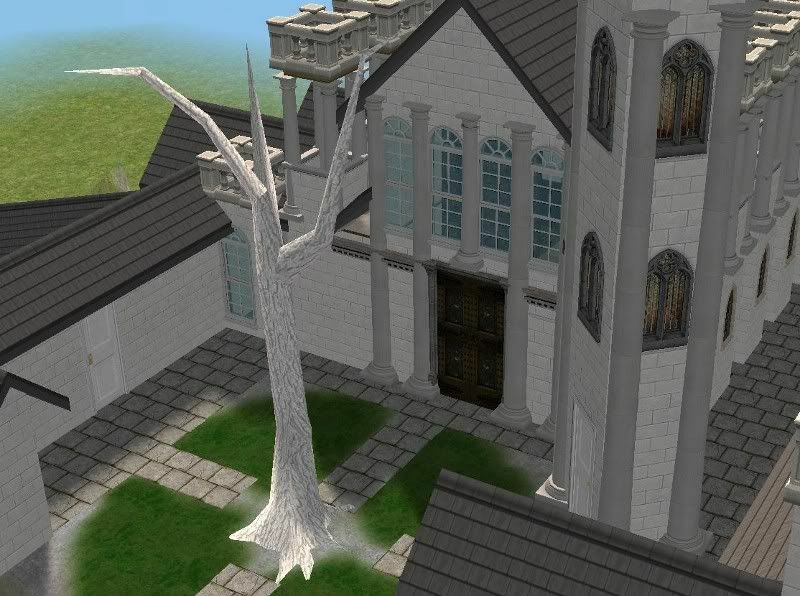 In J. R. R. Tolkien's high fantasy universe of Middle-earth, the White Tree of Gondor stood as a symbol of Gondor in the Court of the Fountain in Minas Tirith. The White Tree also appears as a motif upon Gondor's flag and throughout its heraldry combined with the seven stars of the House of Elendil and the crown of the King. This sapling was brought to Middle-earth on Isildur's ship, and it was eventually planted in Minas Ithil before the house of Isildur. But when Sauron returned to Middle-earth, he launched a sudden attack that captured Minas Ithil, and he destroyed the White Tree. Isildur escaped the capture of Minas Ithil, taking with him a sapling of the White Tree to Minas Anor where it was planted in the citadel courtyard in memory of his slain brother Anárion. This tree died in 1636 during the Great Plague. A third sapling was planted in T. A. 1640 by King Tarondor. This one lasted until the year 2872 and the death of the Ruling Steward Belecthor II. At this time no seedling of the tree could be found as the tree had rarely flowered after the line of the Kings had failed and therefore no fruit was produced. It was left standing after its death "until the King returns". When Aragorn became king he discovered (with Gandalf's help) a sapling of the White Tree upon the slopes of Mindolluin, high above the city, which he reverently planted in the Court of the Fountain. The dead tree was removed from the court but was placed in the Tombs of the Kings with all the honour that would normally be accorded a fallen monarch. In June of T. A. 3019 the sapling was already laden with blossom. This tree is a build mode tree mesh. Cost is 400§ The lot shown is from modthesims, just search Minas Tirith there. Enjoy!